We present a novel dynamic shape tracking (DST) method that solves for Lagrangian motion trajectories originating at the left ventricle (LV) boundary surfaces using a graphical structure and Dijkstra’s shortest path algorithm. These trajectories, which are temporally regularized and accrue minimal drift, are augmented with radio-frequency (RF) speckle tracking based mid-wall displacements and dense myocardial deformation fields and strains are calculated. We used this method on 4D Echocardiography (4DE) images acquired from 7 canine subjects and validated the strains using a cuboidal array of 16 sonomicrometric crystals that were implanted on the LV wall. The 4DE based strains correlated well with the crystal based strains. We also created an ischemia on the LV wall and evaluated how strain values change across ischemic, non-ischemic remote and border regions (with the crystals planted accordingly) during baseline, severe occlusion and severe occlusion with dobutamine stress conditions. We were able to observe some interesting strain patterns for the different physiological conditions, which were in good agreement with the crystal based strains. Several members of Dr. Albert Sinusas’s lab, including Christi Hawley and James Bennett, were involved in the image acquisitions. 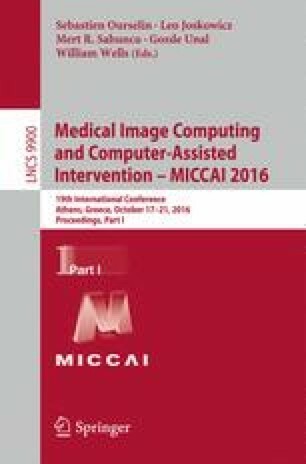 Dr. Xiaojie Huang provided code for image segmentation. We would like to sincerely thank everyone for their contributions. This work was supported in part by the National Institute of Health (NIH) grant number 5R01HL121226.